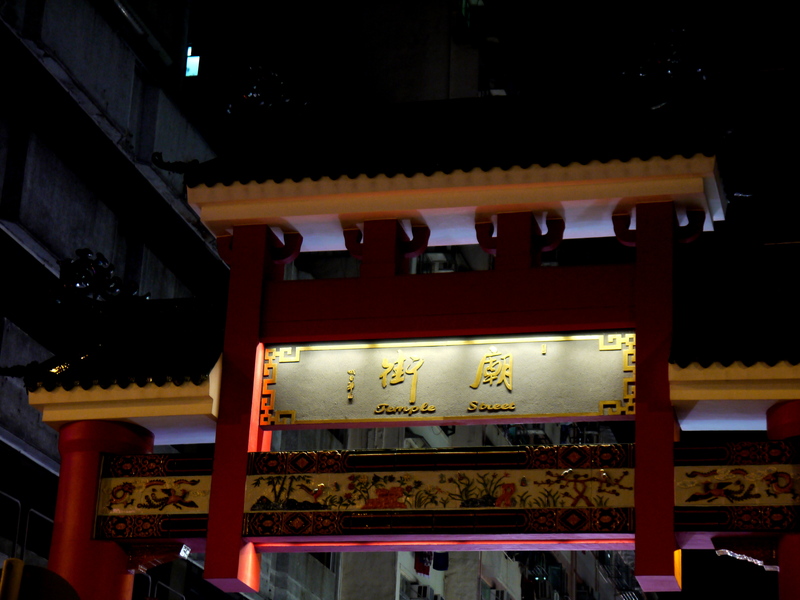 A bunch of us went to the busy Temple street tonight. We walked through the street markets and were lured by traders to look through the wide variety of items in their stalls. This place reminded me so much of the markets at home, so I got a bit excited/happy and nostalgic at the same time. The markets were generally cheap, and we were able to haggle prices down like true pros! 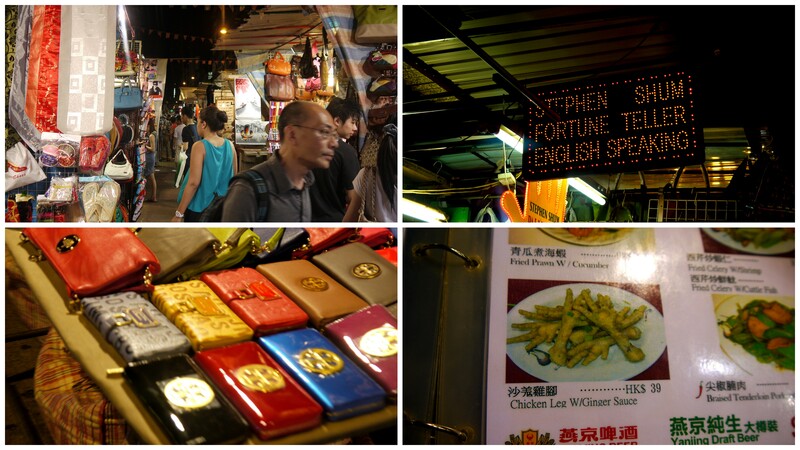 Maybe I should have stopped by Stephen Shum’s stall to find out my fortune, or perhaps ordered a plate of the chicken leg dish at the street restaurant we ate at. I honestly need a new wallet so maybe next time I’ll pick up one of those knock off Tory Burch wallets. So many things to do on Temple Street, so many reasons to return. 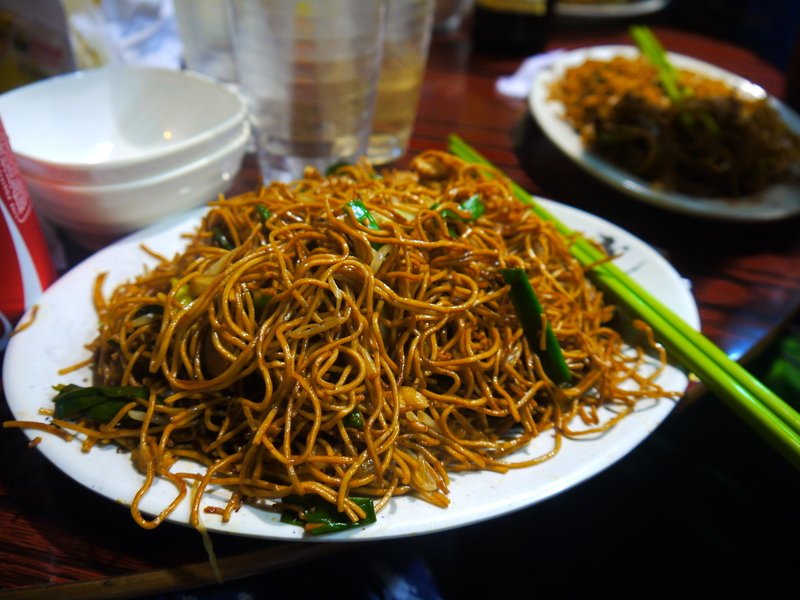 I ended up ordering a dish of fried noodles with shredded chicken. Not the best I’ve tasted, but yummy and satisfying still. Oh, and I used my chopsticks today! 😀 Before eating, we stopped by a woman’s stall where she sold handmade jewelry. 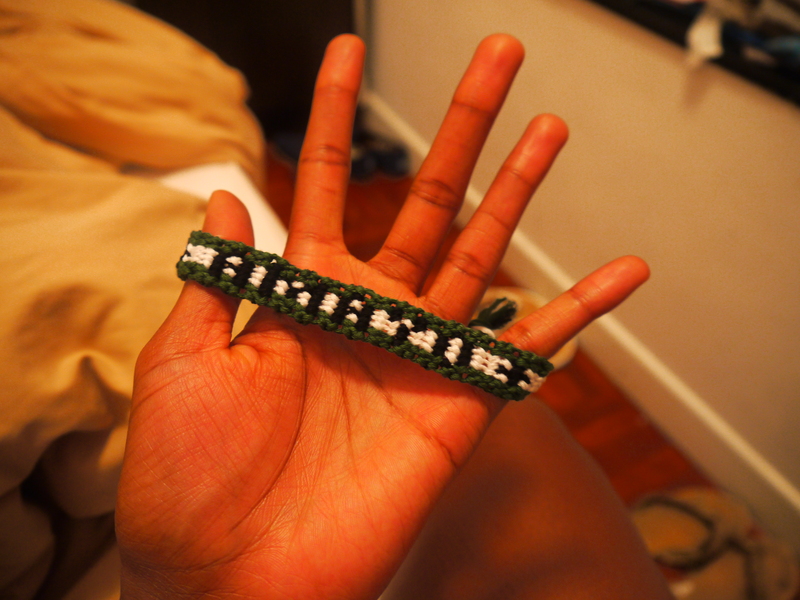 We all wanted our names on our customized bracelets so we asked her to weave our names into ours. We picked our colors, and she told us to return in about 30 minutes. I don’t know how she got all of them done in time, but after dinner, she was patiently awaiting our return with 4 beautiful bracelets resting daintily on her display table. Here’s what mine looks like. I am sufficiently pleased! This entry was posted in Food, Fun, Hong Kong, Nightlife, Shopping. Bookmark the permalink.